Three Tiny Teacup Inspirational Card decks, there are now 108 cards in the deck. 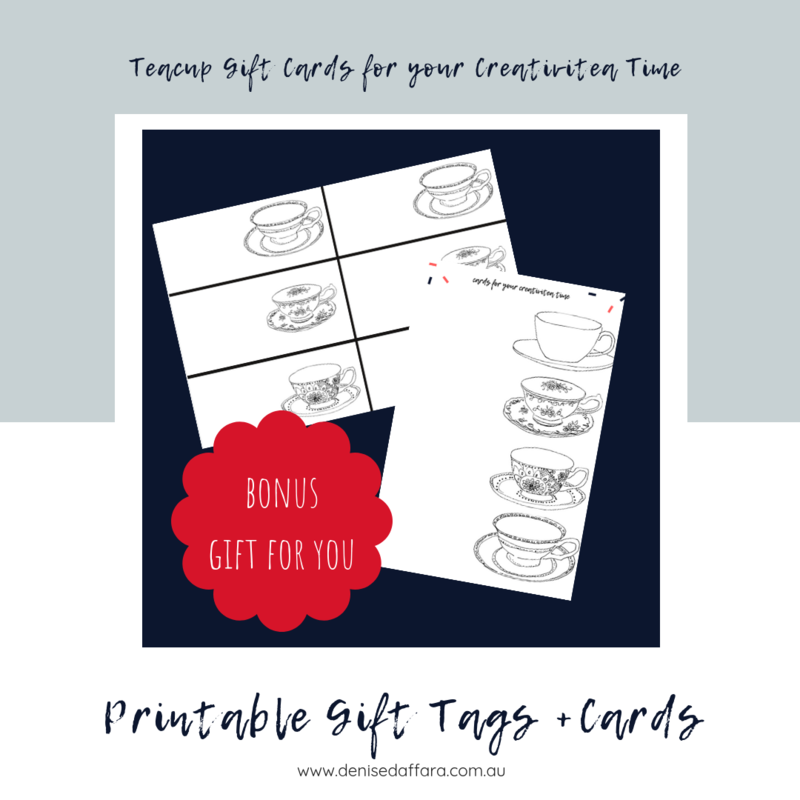 (both decks have the same words), you'll also receive bonus teacup gift tags + cards in various sizes to use for little notes and gifts. 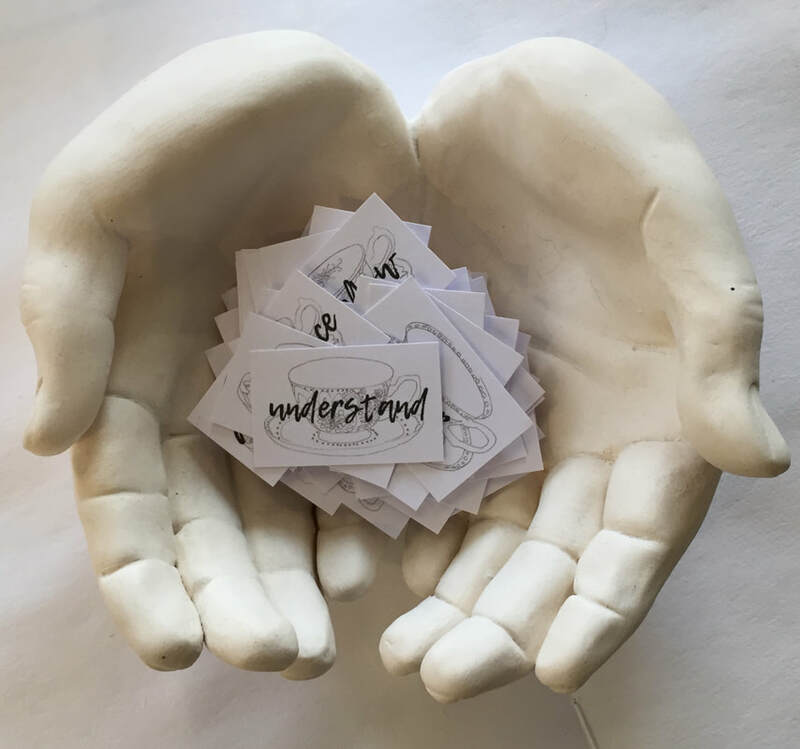 You'll receive a PDF of the pages for you to print at home, I recommend using card stock or water colour paper so they'll be stronger for many times use. 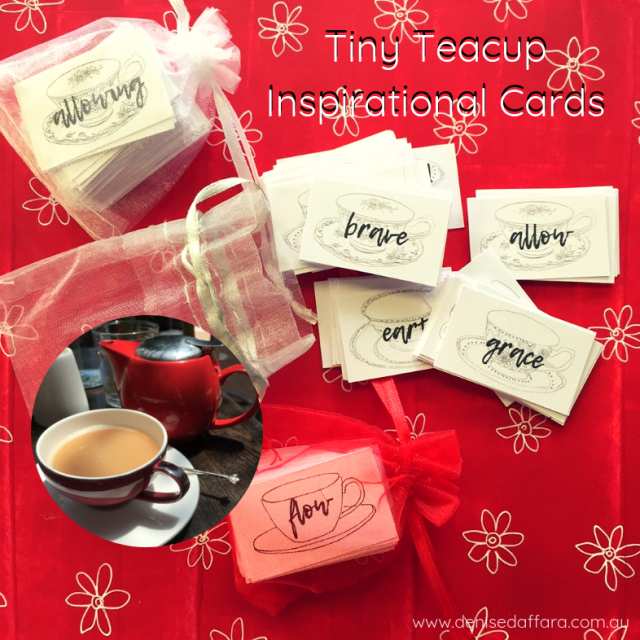 bonus teacups for little notes and kindness you can share. I will manually send you an email with the files within 24 hours. 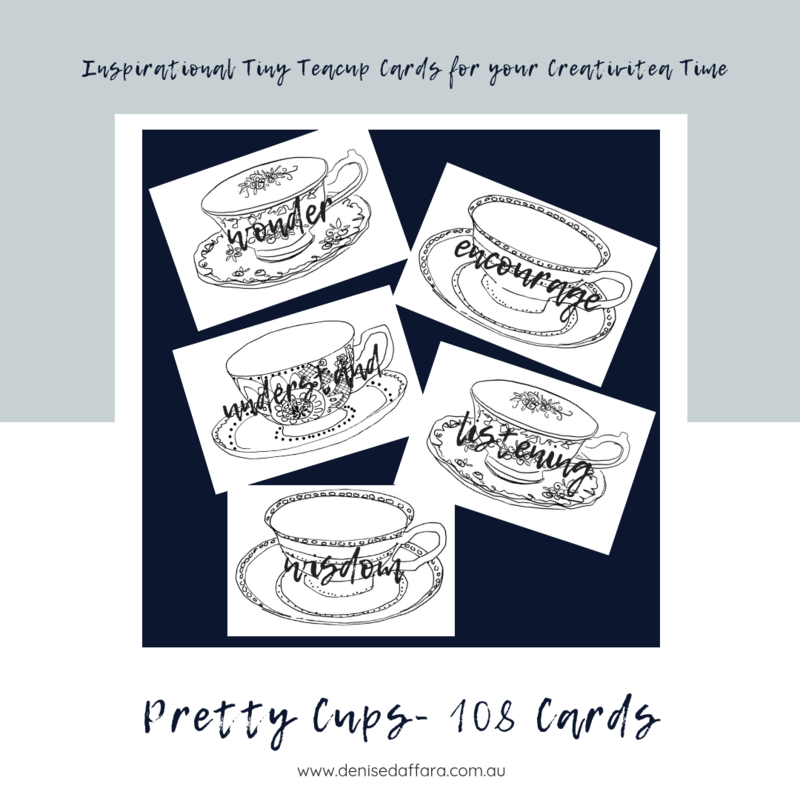 plusbonus teacups for little notes and kindness you can share. 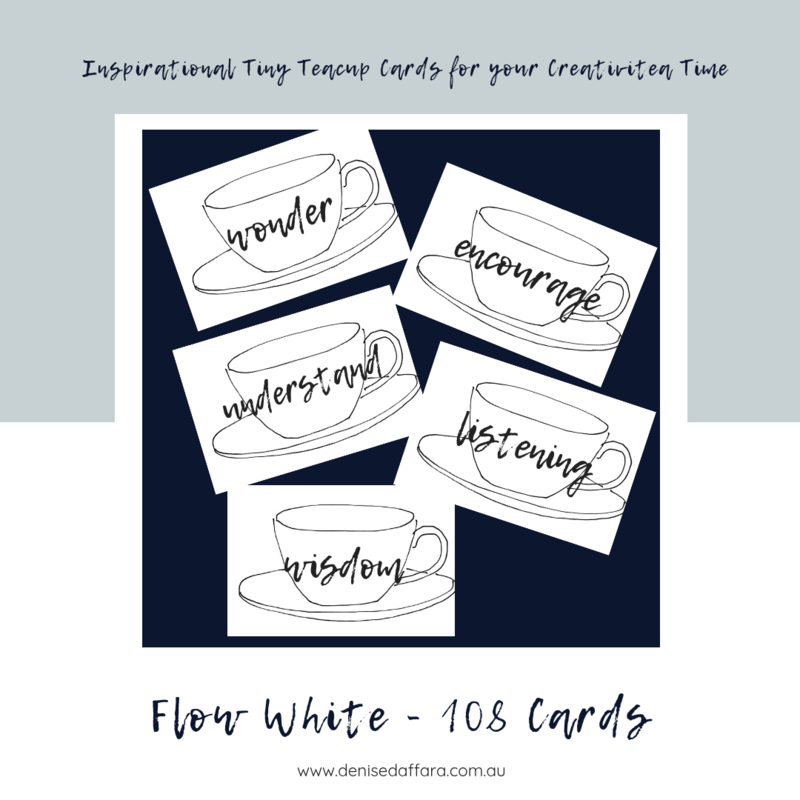 Please note : The card decks come as a PDF digital download file, I will personally email you the file upon receipt of your order, please allow a little time, I'm in the Australian time zone and will attend to orders asap. 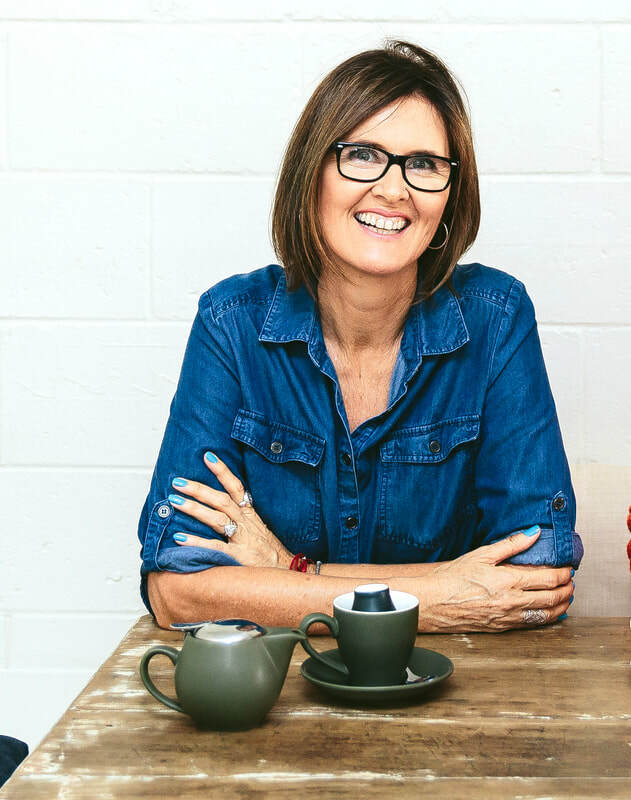 For Australian buyers... please feel welcome to use my madeit store - you will receive your file right away. These readings are audio recorded with images of the spread and card decks used, and will be sent to you via your email address provided. You can send me your question/s and I'll select a card deck or several and create your unique reading. A bonus gift of one of my Inspirational Tiny Teacup Card decks will be included for a limited time.